Global Outreach at Faith Bible Church is all about carrying out the Great commission—we want to make disciples of all the nations who are gathered together in local churches. We do this by taking the gospel to new places to make new disciples and training leaders for those new churches that are established. Taiwan (Michael & Rebecca Belch). We have two families who are in transitions right now, Frank & Jacklyn Ruscio (Ethnos 360 Aviation) and Dustin & Heidi Greenup (Reaching and Teaching). Faith Bible Church has been working in the Czech Republic with Marcus and Amie Denny to establish a church in Kladno. Czech Republic was under the darkness of communism and atheism for many years, and there is a great need for the gospel to be taken to new people. The church in Czech Republic has been riddled with false doctrine, and there is a great need for more leaders to be trained and churches to be planted. Marcus Denny has been asking us for at least seven years to please send someone to help them. Five years ago Jared Millican heard that plea for help. Since then, God has been working in Jared and Claire’s hearts, growing that desire to serve in the Czech Republic with the Dennys. Jared and Claire are currently in Los Angeles at The Master’s Seminary, but their home church is here at Faith Bible and we have tested and affirmed their character and giftedness and are excited about sending them. As you know, we just paid off our debt, which frees us up to send some new missionaries. The elders have made Jared & Claire global outreach partner appointees to Czech Republic. Lord willing, we will send them to work with the Dennys when they finish seminary in the next two years. Michael and Vanessa Dionne are another couple who, though they are currently at The Master's Seminary in California, consider Faith Bible their home church. Michael, like Jared, was in the Aspiring Men program and we have tested and affirmed his character and giftedness and are praying about the possibility of sending them. They were involved in college ministry here and have also been involved in the past leading growth groups. They have a heart for taking the gospel to new places and training leaders and are praying about working with Tom Drion in London. Tom and his team planted GraceLife London in central London to address the need for the spread of expository preaching and the making of new disciples among the nations in England. Their vision is to plant four churches around London so that there is a Bible teaching church within 30 minutes of all of the 25 million people in London. The vision is to plant those four churches from the central church and then to continue beyond that to the rest of England. Through these churches the gospel would be taken to thousands of new people and as God saves people, leaders will be trained who will take expository preaching and Biblical local churches to all of England. 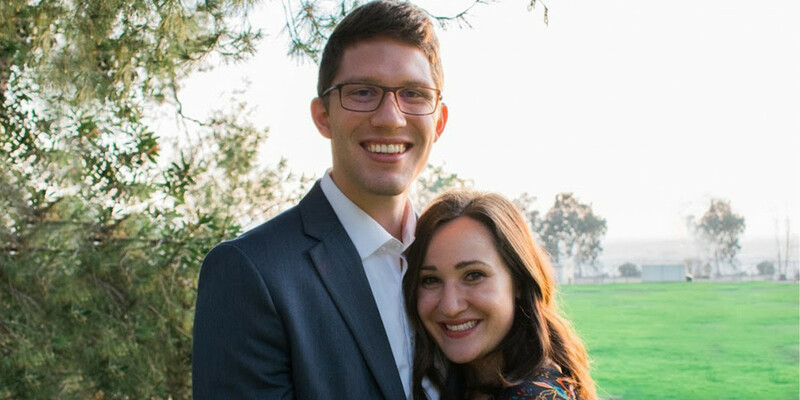 Joe and Hannah Grewe are also finishing seminary at The Master's Seminary right now in Los Angeles. They both have a big heart for Spanish speaking people and are currently serving in the Spanish speaking congregation of Grace Community Church. FBC is their home church also and their character and giftedness has been tested and affirmed over many years of service here at FBC. They recently went to Spain to explore future ministry opportunities. They found a church in Marin, Galicia in northern Spain that is led by a man named Heber Torres, another TMS graduate. His church has already planted some churches in towns with no church at all and they are planning to continue planting new churches in new towns that have no evangelical presence. Joe and Hannah are praying about partnering with Heber Torres and his church in northern Spain to plant new churches. Michael and Rebecca Belch have been working for over three years now with Morrison Academy in Taichung, Taiwan. This is a missionary kid school and a school that reaches unreached Taiwanese people. During their time in Taichung, Michael and Rebecca have partnered with another couple to plant a church called Taichung International Fellowship. We are now praying with Michael and Rebecca about what God has for them in the future, considering the possibility of freeing them up to devote more energy to the church plant. There are many other couples and individuals who are thinking about pursuing missions long-term. The ones mentioned above are not the only ones. God continues to raise up people who desire to take the gospel to the nations and to train church leaders among those nations. Please pray for Faith Bible Church’s elders as we seek God’s will for how we can partner with all of this. We want to send everyone that God sends to us, but we know that our resources are limited. We are praying about ways to expand our capacity in terms of finances and shepherding, and are trusting God to guide us. Thank you for praying for us and for each of these mentioned and those now mentioned in this article. Thank you for partnering in the sending of all of our global partners through your generous giving to our general fund, and for many of you, through your own above and beyond support of individual missionaries.